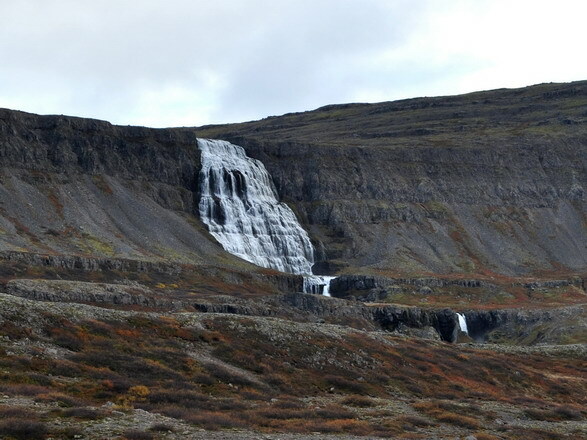 I like this waterfall and the place looked great. 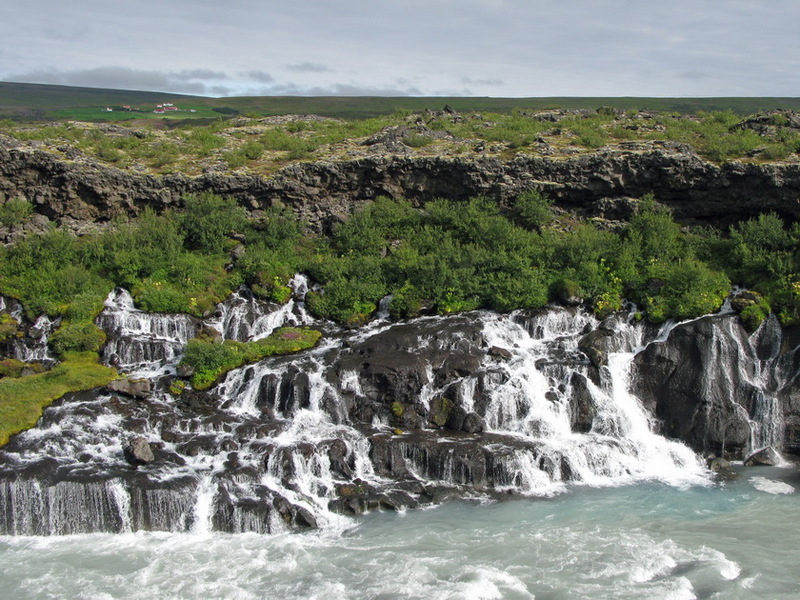 Hraunfossar (Borgarfjörður, western Iceland) is a series of waterfalls formed by rivulets streaming over a distance of about 900 m out of the Hallmundarhraun, a lava field which flowed from an eruption of one of the volcanoes lying under the glacier Langjökull. 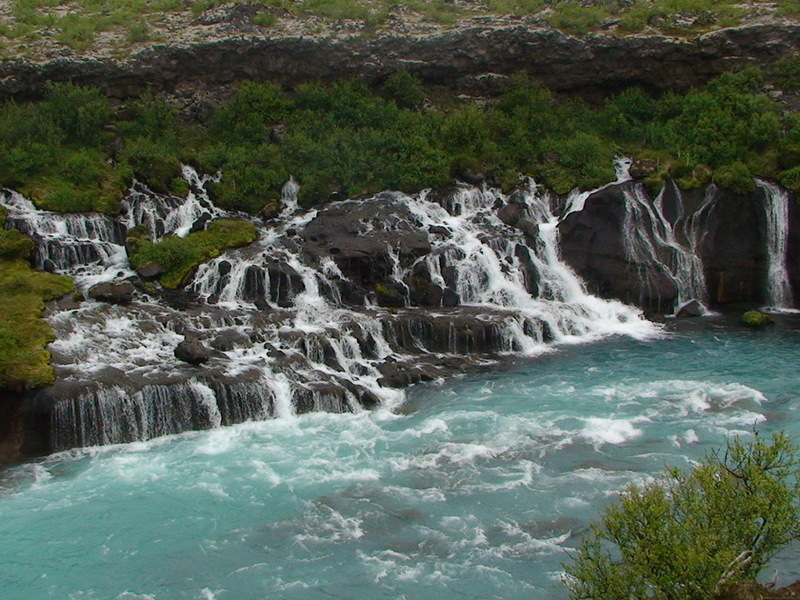 The waterfalls pour into the Hvítá river from ledges of less porous rock in the lava. 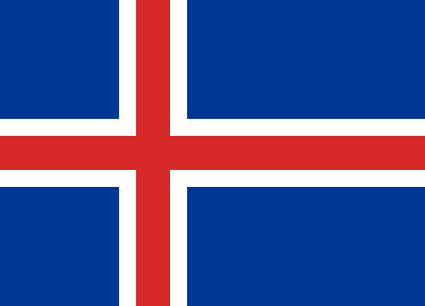 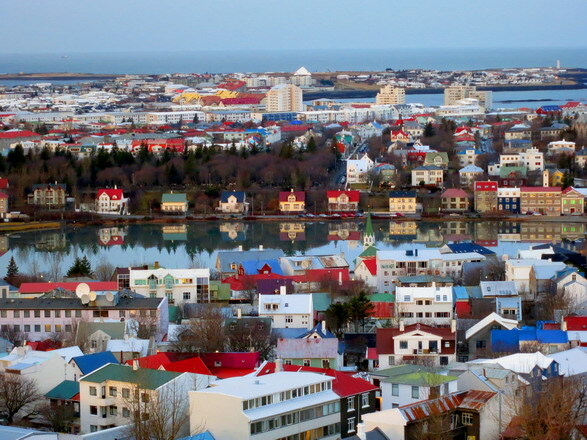 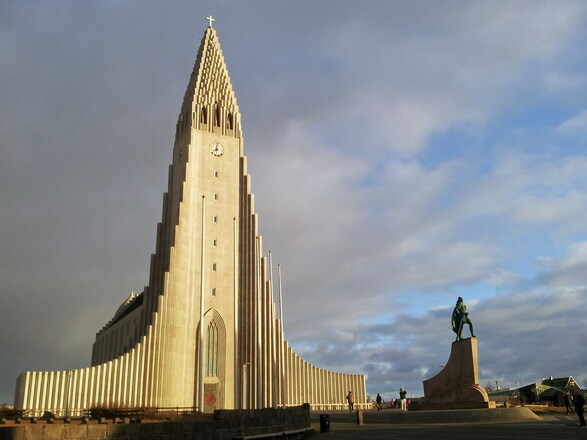 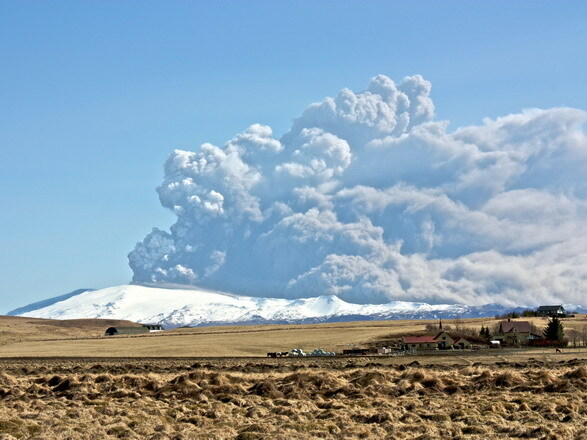 The name hraun comes from the Icelandic word for lava. 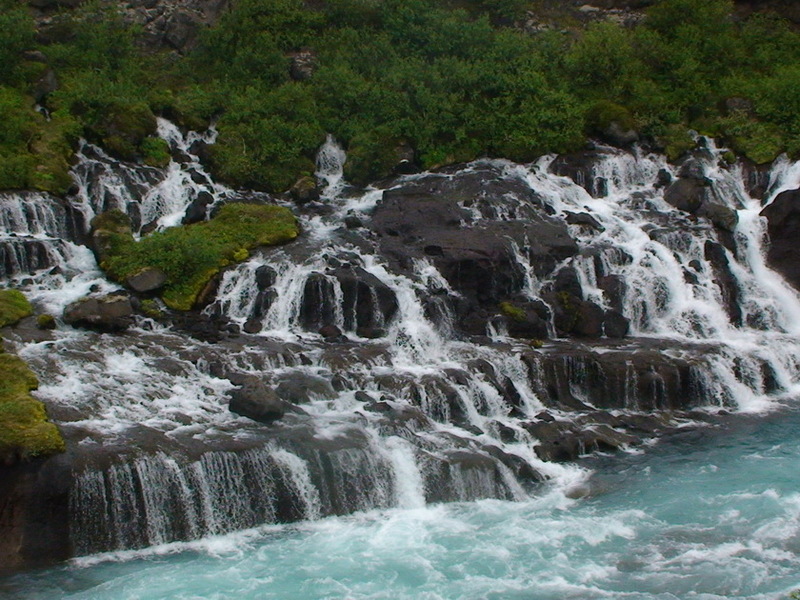 The Hraunfossar are situated near Húsafell and Reykholt and lava-tube cave Víðgelmir is close by. 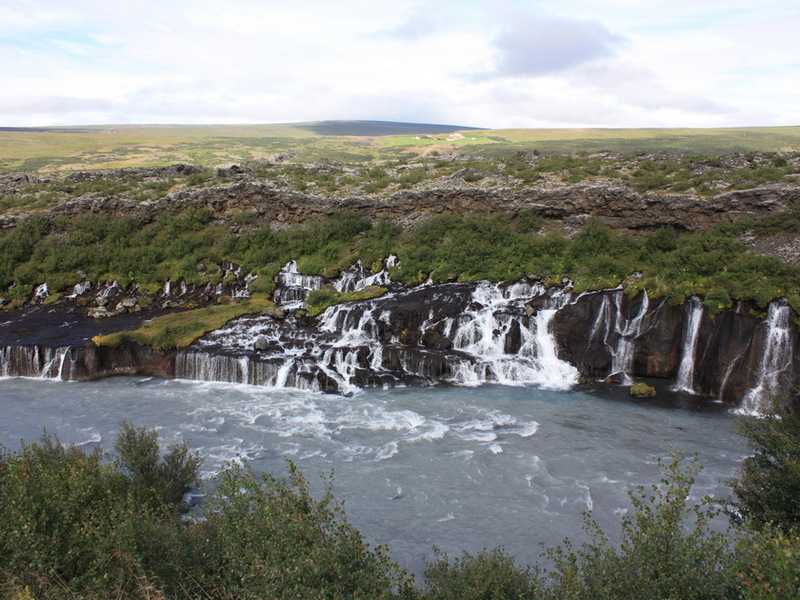 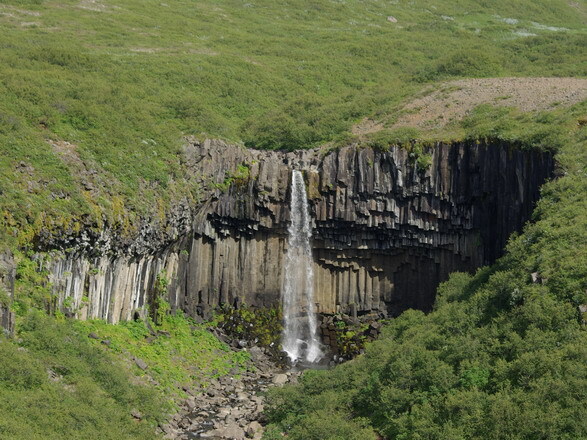 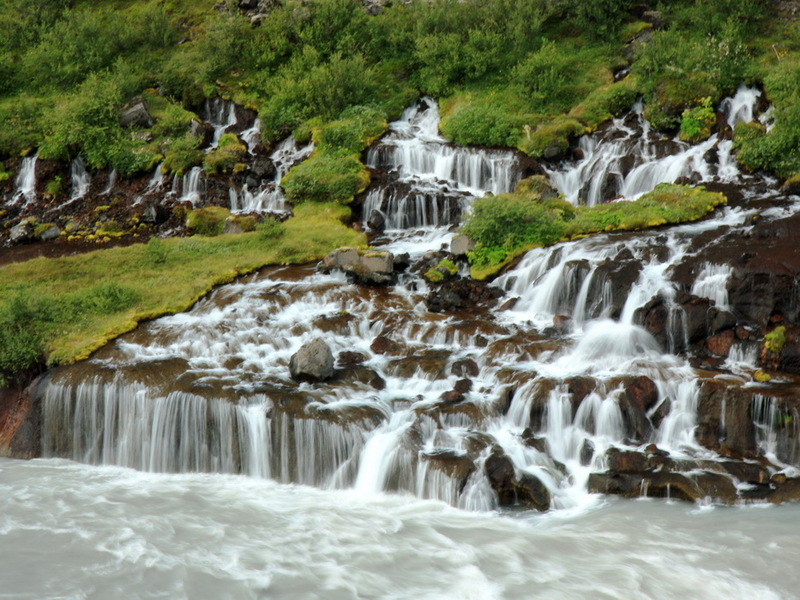 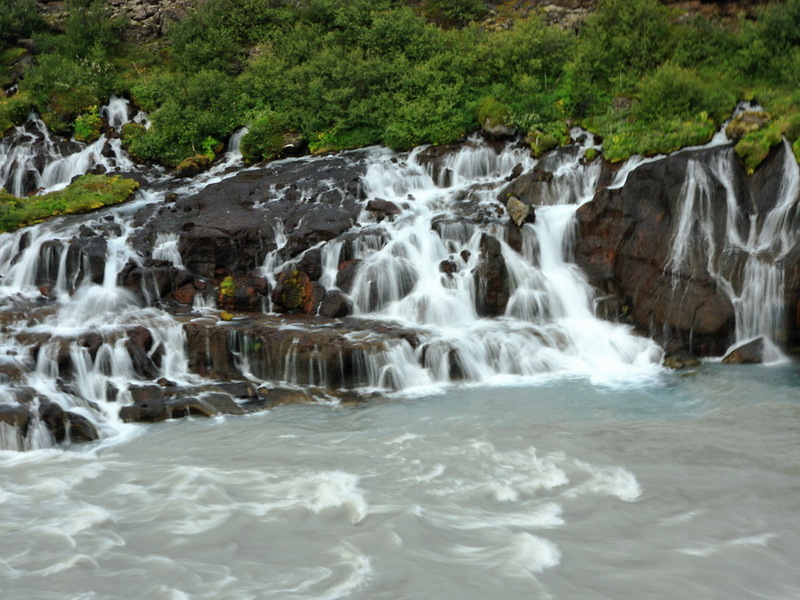 Literally a stone's throw upstream from Hraunfossar, there is another waterfall called Barnafoss. 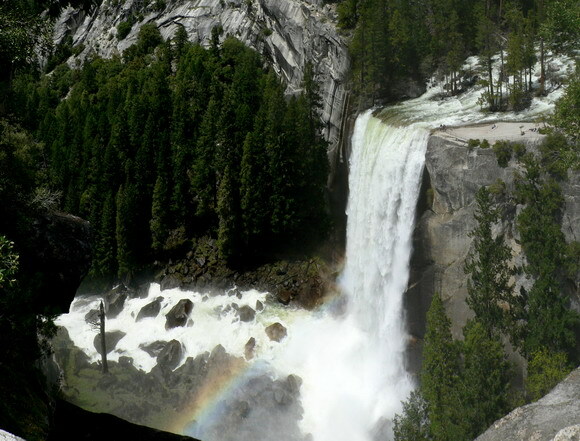 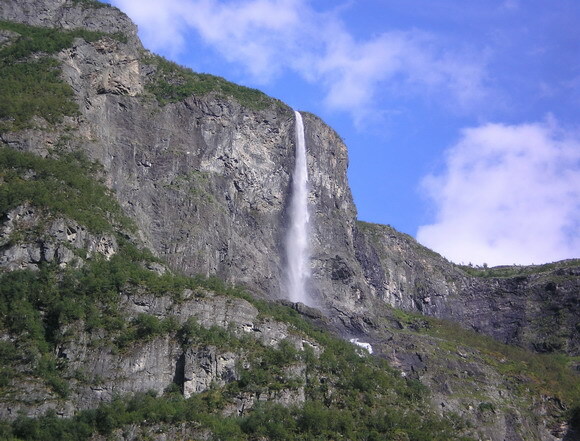 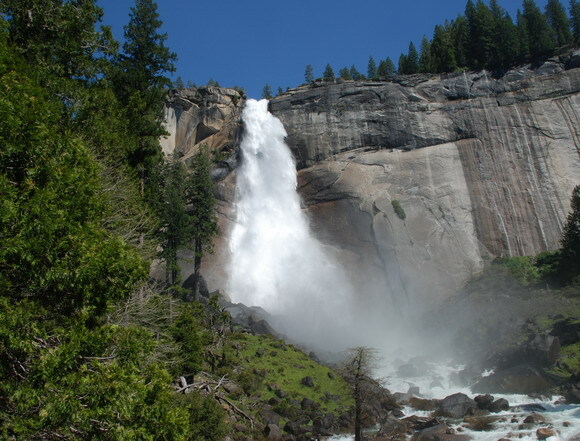 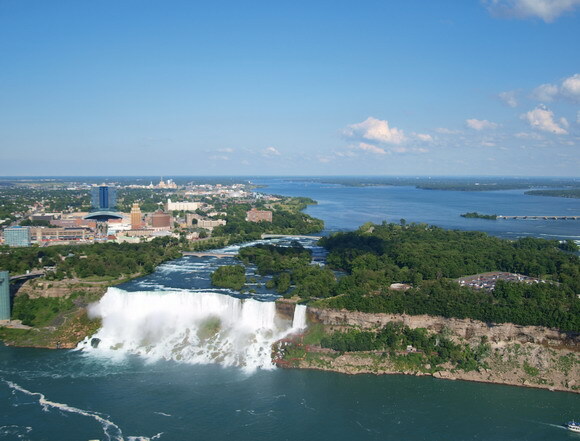 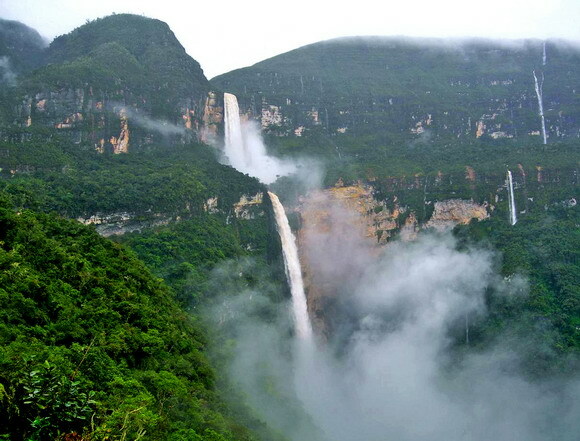 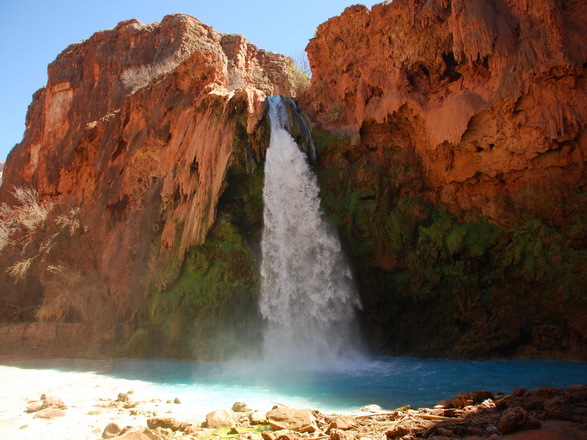 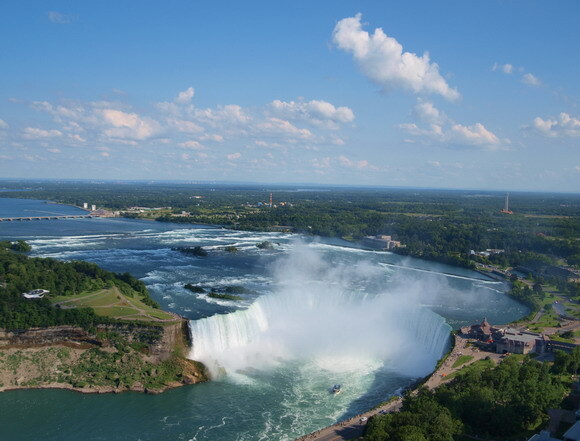 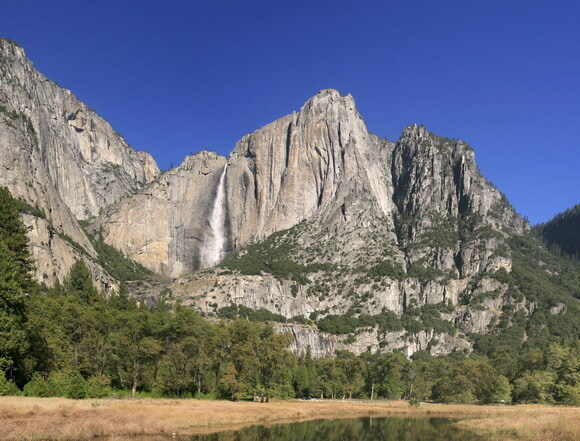 Its name, the waterfall of the children, comes from an accident which is said to have taken place here in former times. 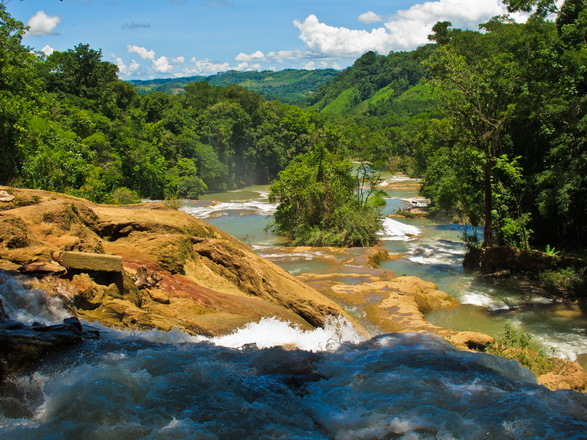 There was a natural bridge over the waterfall and two children from a nearby farm fell to their deaths crossing the river on the bridge. 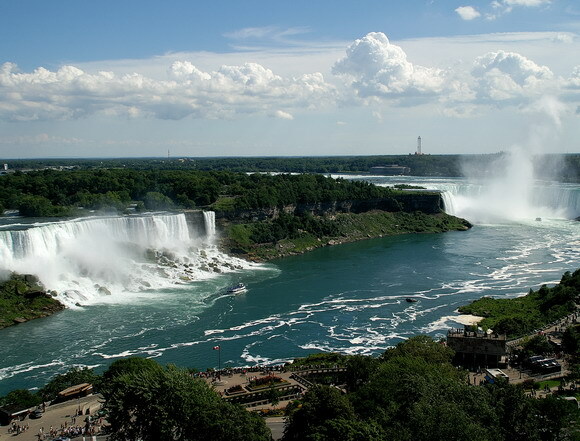 Afterwards, the grief-struck mother had the bridge destroyed.